3D furniture modeling enables designers to bring to life their product design ideas and convey them in detail. Just have a look at cg images of these stylish sofas and armchair. Aren’t they gorgeous? But most importantly, these high-quality 3D models and silos helped our client, a brilliant Designer, to show shoppers his furniture’s appeal by highlighting its every feature and benefit in photoreal quality. One of the most amazing things about this 3D furniture modeling project is the perfection with which the material quality is depicted. 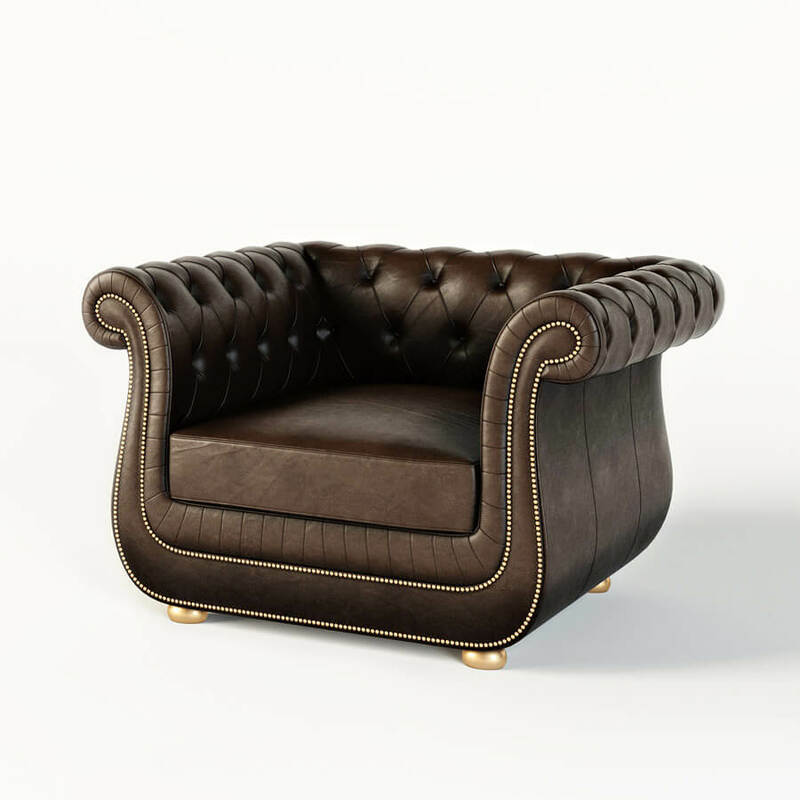 The photoreal textures did justice to the product design – which is crucial for advertising such luxury goods as leather couches. The gloss of the upholstery looks so real that the shopper can almost feel its pleasant to touch material by merely looking at the image. The neat lines, elegant decor elements – all this is advantageously highlighted with a perfectly selected angle. This way, the viewer can easily imagine how stunning the chair will look at his home or office. Another thing that really contributes to conveying the beauty of the furniture piece is light. Thanks to the unlimited possibilities of 3D modeling software, the 3D artist set the perfect lighting, which made for even more appealing ook. The distinctive golden tint and soft shadows perfectly emphasized the comfort and softness of the seat. Here you can see silo images, but these models were used to create lifestyle pictures for the digital and print ads, as well. And what is most important, 3D furniture modeling allows to place products in any scene of future advertising campaigns. Need high-quality marketing assets to sell your amazing products? Contact our 3D modeling studio: we will provide you with the mind-blowing images that will show the utmost of your product properties!